The Delaware General Health District offices in downtown Delaware. The future DGHD Sunbury branch will go into the space the former Sansotta’s Italian restaurant occupied. • Clostridium perfringens is a foodborne disease that occurs when food is left at an unsafe temperature. • Although food samples tested negative for C. perfringens bacteria, the stool samples tested positive for the toxin that C. perfringens forms in the gastrointestinal tract. • A specific food has not been able to be identified as the source of illness. Ongoing food and stool testing is being conducted by the CDC lab. • “I am extremely proud of our team! This investigation included countless hours of phone calls and interviews along with multiple inspections. We are also appreciative of our community for being very cooperative during this investigation and for understanding our work in protecting the public’s health. We are also thankful for the work of our partners at the Ohio Department of Health and the CDC,” said Delaware County Health Commissioner Shelia Hiddleson. • Health District staff identified 647 people who self-reported gastrointestinal symptoms after consuming food from the Chipotle on Sawmill Parkway between Thursday July 26 — Monday July 30, 2018. 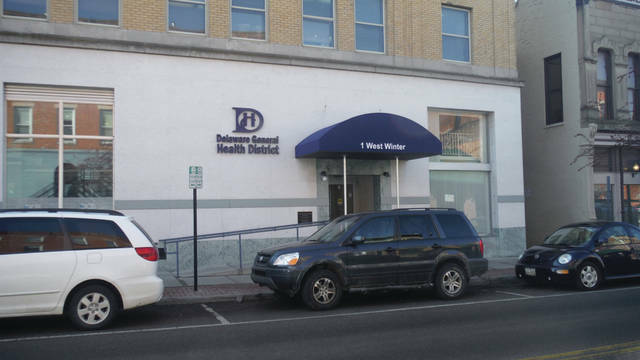 The Delaware General Health District is planning on opening a branch office in Sunbury this fall. “We are looking at different ways to better serve our communities and one of those ways is having satellite locations,” said Traci Whittaker, DGHD spokeswoman, in an email. Health Commissioner Shelia Hiddleson made the announcement at a recent meeting of the Sunbury Village Council. She said the district’s downtown Delaware headquarters at 1-3 West Winter Street was cramped holding 75 employees, and it was important to spread some of those resources additionally to the growing areas of the 200,000-person county, such as Sunbury and Lewis Center. The DGHD office will be in the Sunbury Mills Plaza Shopping Center at the corner of Routes 36/37 and 3, in the storefront occupied by Sansotta’s Fresh Italian until earlier this year. A sign in that window recently said the restaurant had closed due to unforeseen circumstances, but its Marion location was still open. 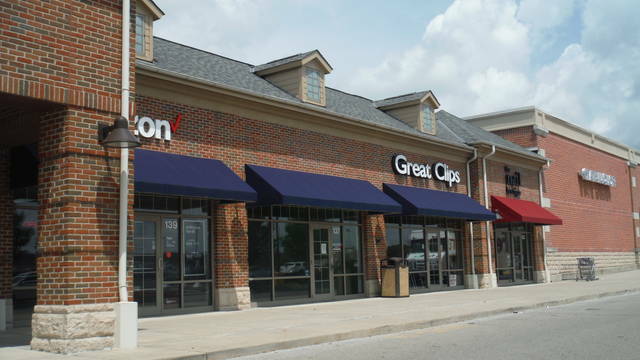 Hiddleson said the DGHD was fortunate in that the center’s anchor Kroger approved having the agency to locate in the shopping center, since the store had its own pharmacy. She said the Sunbury branch of the DGHD will have a couple people working in the office, providing some, but not all of the services offered by the Delaware headquarters, such as birth and death certificates. Another benefit to the Sunbury location is there would be plenty of parking in the shopping center’s newly-repaved lot. The Delaware General Health District’s mission is “fostering, protecting and improving the health of our residents and our community … preventing chronic diseases … (and assuring) a safe and healthy environment.” Among the many services they offer include providing bike racks to Sunbury’s Village Square through a federal grant; plumbing inspections in Powell; spraying for mosquitoes; giving vaccinations; inspecting restaurants; monitoring the flu and illnesses such as the outbreak reported at a Chipotle in Powell; playground improvements in Ashley; and working on a Community Health Improvement Plan. Newborn Home Visits, one of DGHD’s most important programs, allows nurses to visit any family of newborn babies, regardless of income. 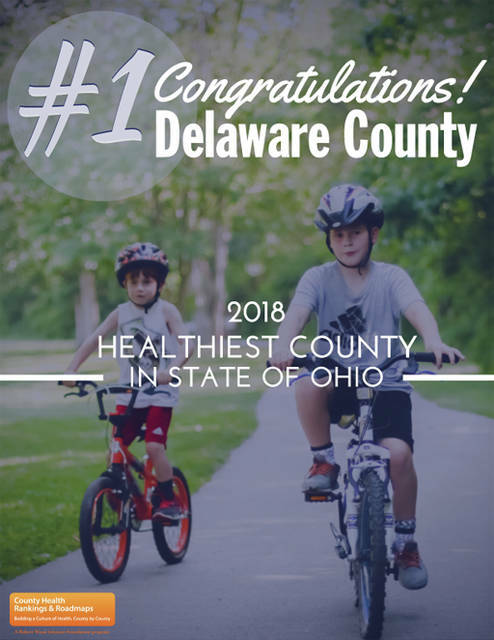 The magazine U.S. News & World Report also ranked Delaware County #12 of out of America’s 500 Healthiest Communities in a March 28 article by John Ettorre entitled, It Takes a Village to Keep a County Healthy. Last month, DGHD partnered with SourcePoint to send out a confidential survey to 1,500 random adults age 55 and older, seeking input on how they would improve their community in what is called the Age-Friendly Delaware County Project.